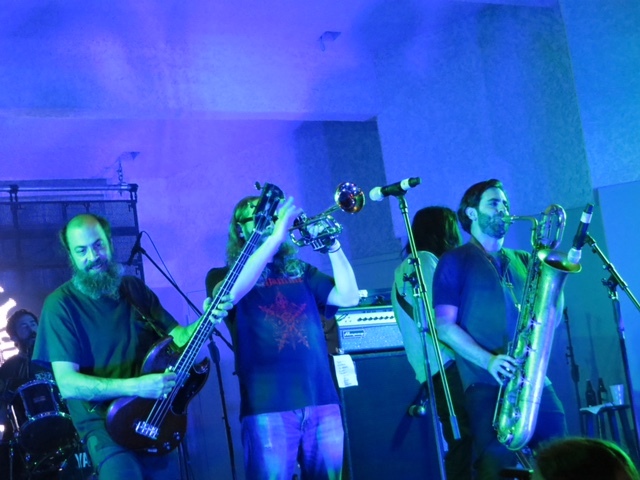 Last Friday, April 10th, the Budos Band descended upon the North Beach Bandshell like a bat out of hell! 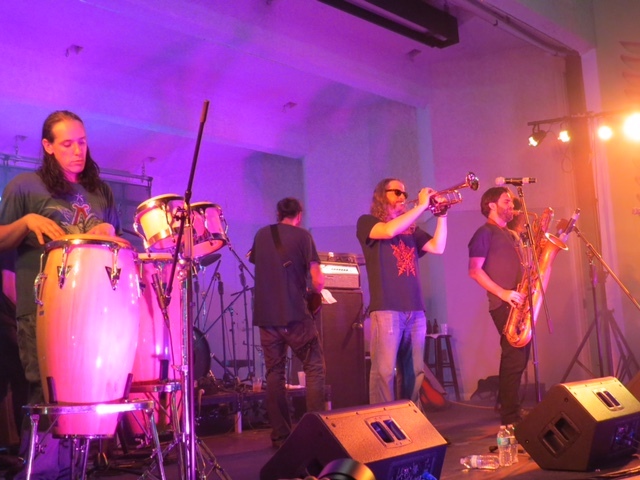 This Rhythm Foundation produced show was a slight departure from their usual deeply rooted world music as the Budos Band, known for their afro soul music, turn it up a notch bringing the raw fury of punk rock elevated by the metal intensity of the dark horn section and distorted bass guitar. Daniel Foder was ripping the bass strings like a young Mike Watt while Jared Tankel delivered a demonic growl from his Baritone Sax. The Budos Band’s latest album, Burnt Offerings, also features a darker sound. This was the Budos Band’s first self produced album allowing them to really speak to the band members’ tastes. The Budos Band held true to their roots featuring driving hand percussion on the bongos and congas as well as beautiful spanish style trumpet lines. 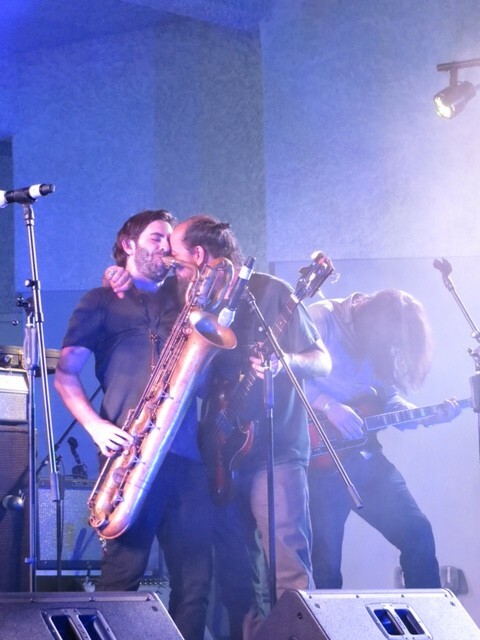 Steeped in Ethiopian jazz and other blends of African music from the 60′s and 70’s, the Budos Band lays down deep grooves and intricate polyrhythms. The show was but a blur of afrobeat, soul, punk, groove, and metal all swirled together; leaving me slightly disoriented seeking my Uber back home to pop my Burnt Offerings vinyl (available from Daptone Records) onto my record player to do it all again. Big thanks to the Rhythm Foundation! Rhythm Foundation is a non-profit organization celebrating its 27th season of presenting outstanding international artists in South Florida. We are a foremost presenter of world music in the US – presenting more than 500 concerts, events and festivals by established and innovative artists from around the world. 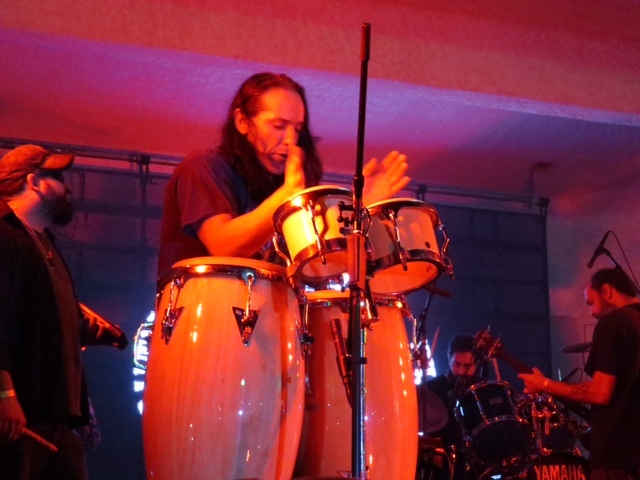 Special focus is given to those cultures connecting to South Florida audiences – music from Brazil, Latin America, the Caribbean, Africa, Asia, and Europe. Click here to purchase Burnt Offerings on Vinyl from Daptone Records! This is supposed to be a review? Some bad pics, lame captions and quotes from the band?